One of my blog reader wrote in to enquire on the media cost calculation for the Canon iPF PRO540 that he newly invested. I told the reader to use the Accounting Function from the Canon iPF print driver to calculate but he insisted to learn the way to calculate media cost only in per square foot as well as per square meter. 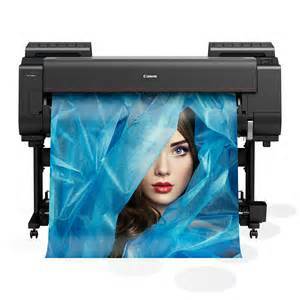 The new owner of the Canon iPF Pro540 is operating a fast print shop (print services provider). He mentioned that able to calculate various media cost in term of per square foot or per square meter is very helpful for him to quote customers that has various media requirements. A roll of Matte Vinyl Sticker, 24inches x 30m, MYR210 per roll. *The above costing does not include media wastage. how to check for ink usage? Hi Khai Fotoatelier, you can check the ink usage from the Accounting Function under the printer driver.